Rating: General audiences. All ages admitted. 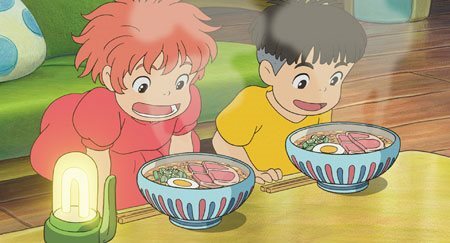 Miyazaki creates a bold, imaginative vision of a magical world from a child’s point of view. 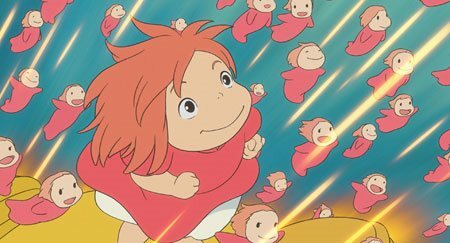 The first film from Miyazaki to be made available on Blu-ray, Ponyo brims with color and energy on a stunning journey into a child’s inner life. 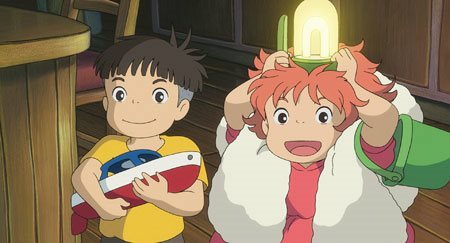 With a story that families can enjoy together, the film’s star-studded voice cast includes Cate Blanchett (Elizabeth, Babel), Matt Damon (The Bourne Ultimatum), Tina Fey (“30 Rock”), Liam Neeson (The Chronicles of Narnia), Cloris Leachman (Castle in the Sky), Betty White (“The Golden Girls”), comedian Lily Tomlin and introduces Noah Lindsey Cyrus (as Ponyo) and Frankie Jonas (as Sosuke).Creator of acclaimed and beloved animated classics including Academy Award®-winner Spirited Away (2002 winner for Best Animated Feature) and Howl’s Moving Castle, Miyazaki is founder of the legendary Japanese animation studio, Studio Ghibli. John Lasseter, chief creative officer of Pixar Animation Studios, is a two-time Academy Award winner (1998 winner for Best Short Film, Animated for Tin Toy and 1995 Special Achievement Award for Toy Story) and a recognized pioneer in the field of animation. 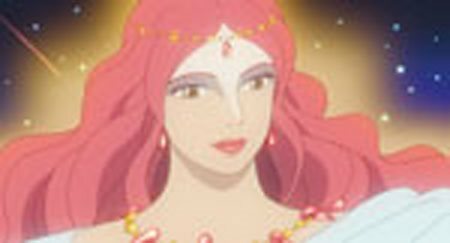 He is credited with executive producing as well as directing the English language voice cast on the film. Joining Lasseter as executive producers of the English-language version are Kathleen Kennedy and Frank Marshall. 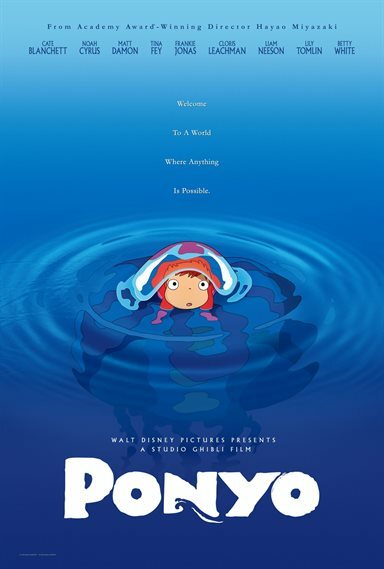 Walking on the beach near his home, a five-year old boy named Sosuke (voiced by Frankie Jonas) finds a beautiful goldfish trapped in a bottle. He releases the tiny creature and, sure that she is no ordinary fish, names his new friend Ponyo (Noah Lindsey Cyrus). As Ponyo and Sosuke grow closer, she reveals to him that she is the daughter of a powerful wizard (Liam Neeson) and a sea goddess (Cate Blanchett), and magically transforms herself into a real human girl. 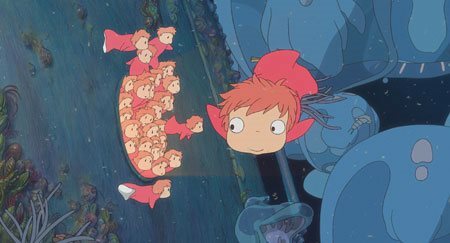 But by crossing from her watery world onto land, Ponyo has created a dangerous imbalance in nature. 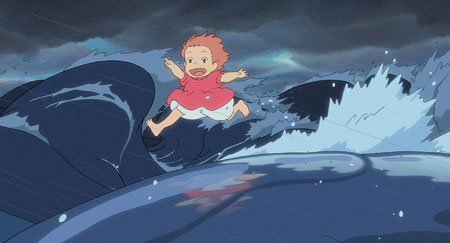 As the moon begins to draw closer to the earth, sea levels rise and a giant tsunami threatens to destroy Sosuke’s home. 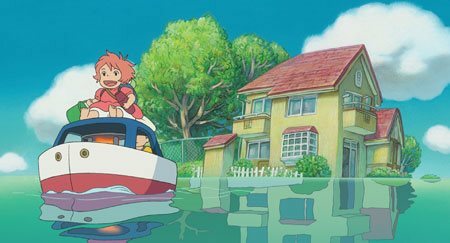 Ponyo’s father marshals all his might to find his missing daughter, as the two children embark on an adventure of a lifetime to try and save the world. 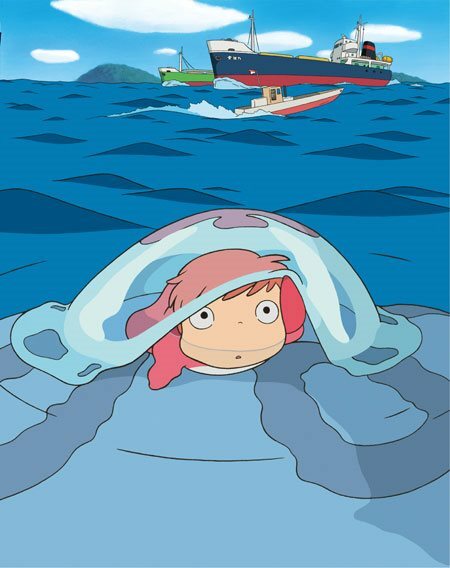 Ponyo images are © Walt Disney Pictures. All Rights Reserved. 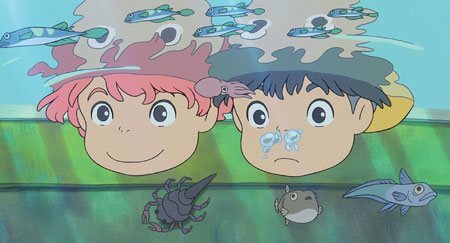 Ponyo images © Walt Disney Pictures. All Rights Reserved.